The director for children and young people at Scottish Borders Council is off to pastures new after landing the top job in Inverness. Donna Manson has been appointed chief executive of Highland Council, a post she is due to start before the end of the year. Mrs Manson, 51, joined Scottish Borders council from Fife Council in 2015. During the last three years she has overseen an improvement in exam results across the region’s schools, as well as implementing a range of support in a bid to bridge the attainment gap. She has also delivered a £32m education campus for Jedburgh. She was appointed to her new role on Friday, following the retirement of the Highland chief executive. 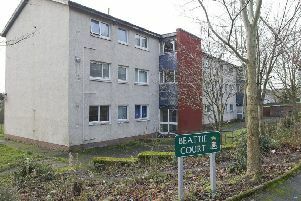 Scottish Borders Council chief executive, Tracey Logan, said transition arrangements at Newtown St Boswells would be confirmed in due course.